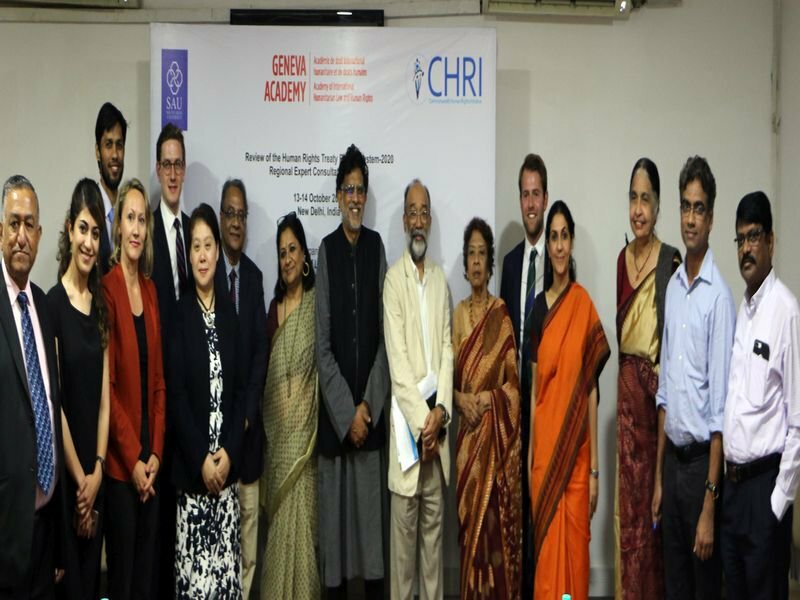 The Commonwealth Human Rights Initiative (CHRI) is organising the Asian Regional Consultation of the Academic Platform Project on the 2020 Review in partnership with the Geneva Academy and the South Asian University (SAU) on 13-14 October in New Delhi. The New Delhi consultation will witness the participation of experts from academia, civil society, and independent specialists having prior experience with treaty bodies. It will take place over two days at the South Asian University. The proposed consultation aims to engage experts from around the globe in generating innovative ideas on how to improve the functioning, and deepen the impact of the U.N. human rights treaty bodies. Their objective is to gather theoretically and practically grounded assessments of ongoing efforts to strengthen relationships, communication, and coordination among the human rights treaty bodies, and to identify additional opportunities for building relationships and leveraging synergies between the treaty bodies, other UN mechanisms, and regional human rights systems. The event is part of the Geneva Academy’s global academic project, which aims at contributing to the process leading up to the General Assembly’s 2020 review, and specifically to help inform the 2018 report of the Secretary General to the Assembly. Regional consultations provide ideas and recommendations to put forward in the intergovernmental debate. Consultations have taken place in 2016 in Dublin, Ireland; Moscow, Russia; San Jose, Costa Rica and New York, US; Nairobi, Kenya in 2017. Treaty bodies are international committees of independent experts who monitor State parties’ implementation of international human rights instruments. These bodies are a central pillar of the international human rights protection system; they prevent human rights violations by warning states about areas of concern and by advising them on durable solutions that address root causes.